Maleta Forsberg is a native Kansan who received her art training from the Kansas City Art Institute, the Wichita Center for the Arts, and workshops with a number of nationally recognized artists. Her home and studio are located in the country 10 miles southeast of Lindsborg, surrounded by the landscape, flowers, and animals that are the inspiration for many of her paintings. Located on the property is the restored Olive Springs schoolhouse built in 1885. It now serves as an art gallery to display paintings along with memorabilia of the country school era. The schoolhouse is located on the Prairie Trail Scenic Byway. Maleta’s work has been selected for and honored in juried regional and national competitions, including Watercolor USA, the National Wildlife Exhibitions, and the 2012 National Small Oil Painting Show. She was honored in 1997 by a retrospective show of her work at the Sandzén Memorial Gallery in Lindsborg. Her work is part of permanent public, private, and corporate collections in the U.S. and abroad. 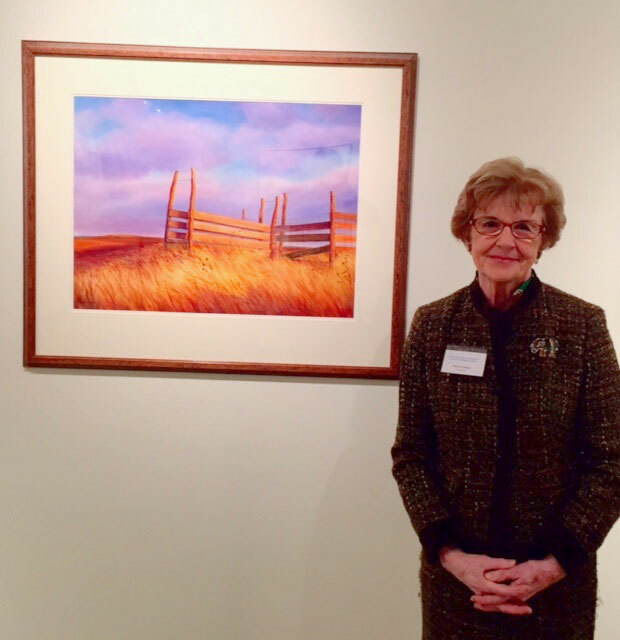 She is a past president of the Kansas Watercolor Society, Artists Guild of Wichita, Sandzén Memorial Foundation Board, and a member of the Kansas Academy of Oil Painters.